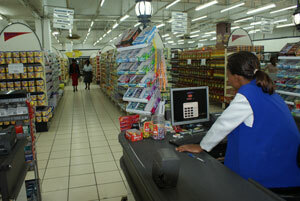 We are the largest and wide spread retail chain in Malawi with over 80 retail shops spread across the country. We sell and distribute fast moving consumer goods both in retail and wholesale. We are the number one distributors of fresh foods and quality groceries locally grown or manufactured in Malawi. PTC remains the only retail chain in Malawi that has managed to penetrate even the remote areas, giving our customers everywhere a choice for quality products. We aim to promote local products by sourcing as much as possible locally. We are wholly owned by Press Corporation PLC. The company has its Head Office in Ginnery Corner, along Ali Hassan Mwinyi Road, Chichiri in Blantyre. These are large hybrid wholesale stores, situated in major cities and towns, that cater for retail as well as wholesale customers, offering discounted prices for bulk purchases on a wide range of products. The larger stores include in-store butcheries, bakeries and fast foods. These stores range from supermarkets to urban convenience stores, all strategically located in the major cities. Many offer in-store butcheries and bakeries as well as fast foods, and some trade for extended hours. The stores carry a wide range of local and imported groceries. These are smaller convenience stores with a smaller range of products.